(TibetanReview.net, Oct31, 2014) – It’s the film festival season at Dharamshala, India, with three events marking their 6th, 10th and 3rd years of holding them. The two to five-day festivals are being held over the period of Oct 25 to Nov 2, with the Tibetan Institute of Performing Arts (TIPA) and the Tibetan Day School halls being the venues. 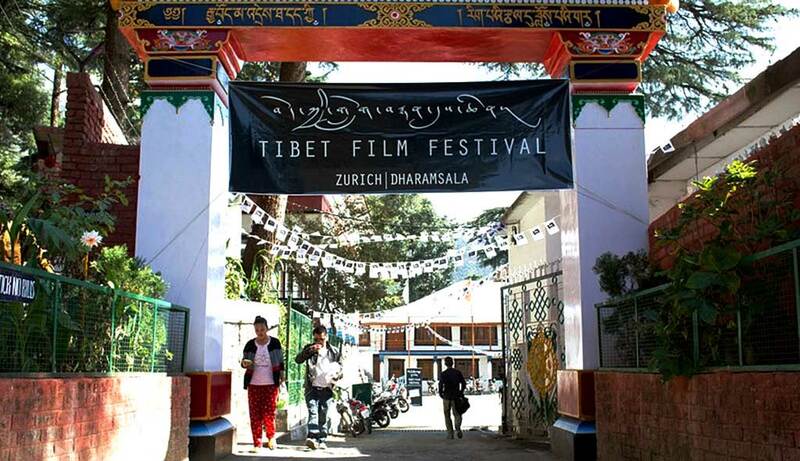 The 6th Tibet Film Festival was simultaneously held in the Swiss city of Zurich as well over Oct 25-26. The festival, held at TIPA, featured Tibetan filmmakers and presented films produced or directed by Tibetans. Its objective is to create a platform for artistic expression for filmmakers within the Tibetan community, and to create awareness about filmmaking in the Tibetan diaspora. The first Tibet Film Festival was held in 2008 and was dedicated to the amateur filmmaker Dhondup Wangchen who was jailed by the Chinese government. The organizers said the TFF had become a unique platform for young Tibetan filmmakers to discuss their undertakings. The current festival featured nine five-minute films on the theme of “return” to mark the release in June this year of Dhondup Wangchen. Apart from it, seven films made by Tibetans in and outside Tibet were screened, including ‘Kokonor’ by Dorje Tsering Chenaktsang, ‘The Hunter and the Skeleton’ by Gendun Gyatso and “Tibetan Guerillas in Exile” by Kalsang Rinchen. The others included ‘Who will be a Gurkha’ by Kalsang Tseten, ‘Vara: A Blessing’ by Khentse Norbu and ‘Bringing Tibet Home’ by Tenzin Tseten Choklay. The 10th Free Spirit Film Festival was held over Oct 25-29 at the Tibetan Day School hall. This festival aims to promote the joy, beauty and power of cinema, to share beautiful stories, concerns, interests, and creativity, and to honour and promote independent filmmakers from around the world. It featured 30 films, including three world premières and one India première. 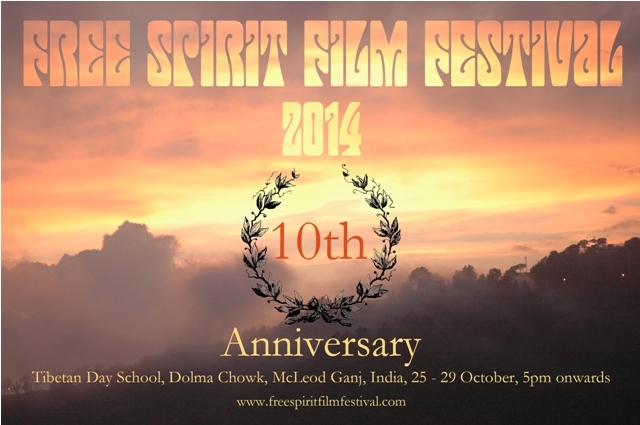 The Free Spirit Film Festival was started by Lobsang Wangyal, a social entrepreneur, in 2004. He is also the producer of other annual events such as the Miss Tibet Pageant, the Miss Himalaya Pageant, and the Tibetan Music Awards. The DIFF is presented by the husband-and-wife team of Tenzing Sonam and Ritu Sarin of the non-profit called White Crane Arts & Media Trust. The festival will screen more than 24 full-length feature films and documentaries, besides a selection of contemporary independent short animation films.